....I'm heading out the door to donate a bicycle to our local 4-H office. If you don't mind joining me on a trip down memory lane today.... these photos are from the 2001 - 2003 years..... and there's some mighty happy young people in this photo below! As I recall they'd just completed a Public Speaking Competition. Don't know if they were happy with the ribbons, or more because their turn at a public speech was over! 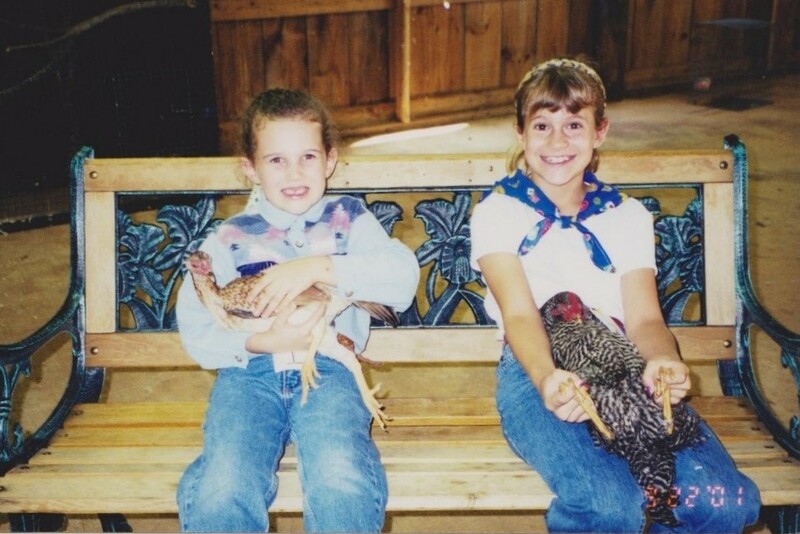 These two youngsters, below, are lovin' on their prize winning chickens at our local County fair. My youngest is on the right. Here she is in action, below. Chickens are smart and quite trainable. She is competing against other 4-H youngsters showing the judge how well she trained her chicken. The chicken has to walk the length of the table and back, without anything touching her. The training stick cannot touch her.... simply guide her, as Melissa is showing here. Love the look of concentration on her face! I made her neck scarf/bandana out of 4-H theme material. She also had to answer questions from the judge about her poultry knowledge. 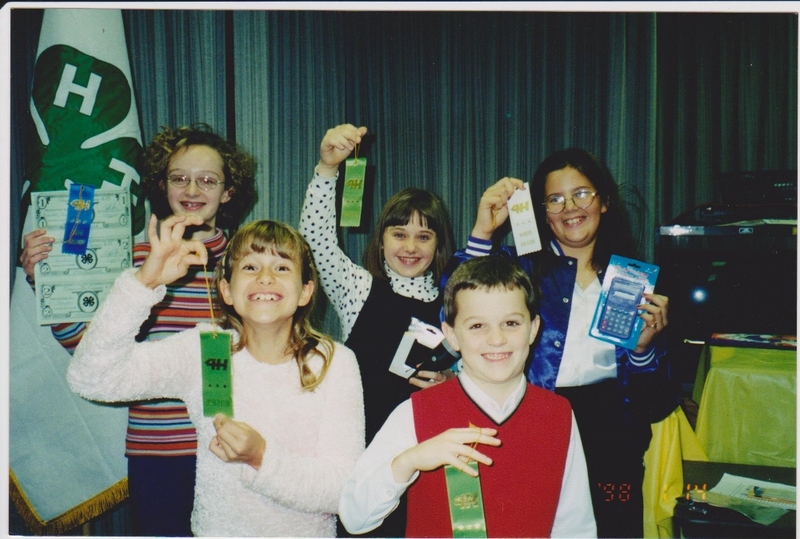 Below is the 4-H Knitting Club I lead.... even though I did not know how to knit at the time. We were blessed to find a sweet elderly lady who loved to share her knowledge and love for knitting to teach the youngsters..... and yes, there is a young man front and center! He was terrific! 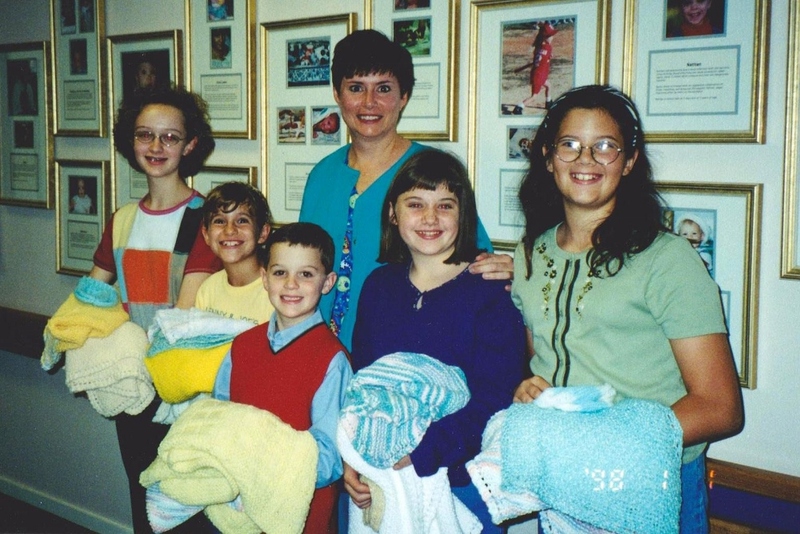 The kids are standing with one of Greenville Hospital System's Neo-Natal Intensive Care Unit nurses as they delivered the blankets and hats they'd knitted specifically for the NICU babies. One of the mother's had also set up a prayer time for the knitted baby's things in her church before we left for the hospital. It was a most special time, personally, for me. .....and today I delivered an almost brand-new bicycle that Melissa had never used for our local 4-H office to use as a fundraiser. They'll be selling raffle tickets at the upcoming local 4-H fair. I hope lots of money is raised for the kids! Hope you are having a good day, wherever you may be! It must feel good to be such a part of this community group over so many years. Your daughter looks lovely, and what a beautiful bird. It is a nice feeling to still 'feel' a part.... and give back to the community in some sort of humble way. You know, I thought I had a nice amount of tops too.... until this month and realize I do not have enough basic, summer tops..... nor basic summer skirts. :( I will tell my daughter what you said. It will make her day! Thank you again Sarah Liz! What a great compliment about my daughter! I shall tell her also! Thank you! 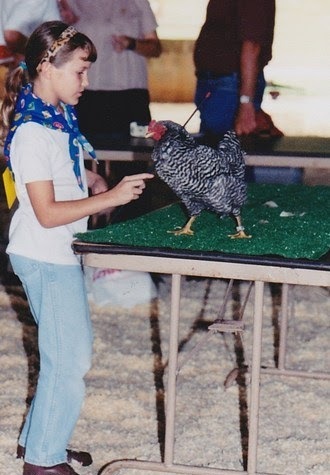 Thanks for sharing your pictures and history of your involvement in 4-H. It is wonderful that you can still be involved in such a needed organization! It is a good feeling to still feel 'wanted' and 'needed' as I enter the empty-nest chapter of my life. Thank you Dharma!